Stevia is a small green plant with leaves that have a delicious and refreshing taste, which can be 300 times sweeter than sugar in its unprocessed form. Sweetleaf Liquid Stevia is a natural, convenient and healthy sweetener. It contains no calories or carbohydrates and may be used in tea, coffee, smoothies, protein shakes or any recipe. 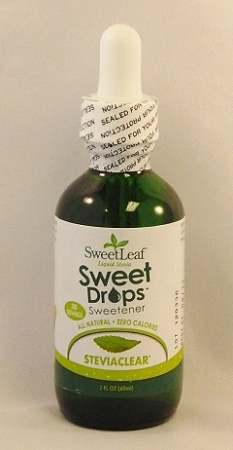 Sweetleaf Liquid Stevia is delicious, has no aftertaste and is diabetic friendly. Wisdom Natural Brands is now the leading U.S. manufacturer of stevia and offers a full line of SweetLeaf products, available in convenient single serving packets, liquid, powder, tabs and concentrate. 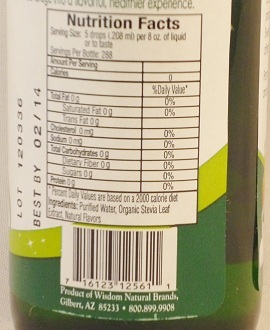 SweetLeaf® is the only chemical-free, zero-calorie, zero-carb, zero-glycemic index, 100% natural sweetener there is. No chemicals. No alcohols. No additives that cover up the great taste nature created. Great tasting and all natural, its uses are endless add a delicious sweetness to all your favorite foods and beverages! Its made by taking the highest quality leaves of the stevia plant and extracting their naturally sweet taste with only cool, purified water. From drinks to desserts, appetizers to entrees and so much more, the options are endless! My husbnd uses the clear Stevia in his drinking water. He loves it. Doesn't like water without it. So while using it he drinks 3- 64oz. bottles everyday. Just 1 drop for every 2 ounces of water. 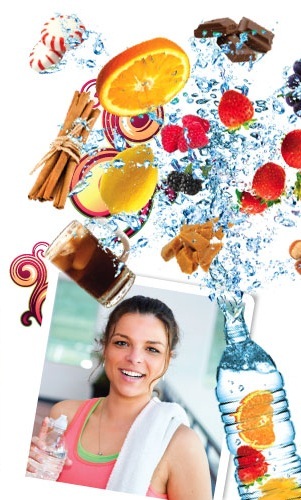 Ingredients: Purified Water, Organic Stevia Leaf Extract, Natural Flavors. SweetLeaf Stevia® Sweetener contains only two ingredients: stevia leaf extract and inulin, a soluble vegetable fiber. Inulin is a naturally occurring prebiotic that nourishes the bodys good intestinal flora, supporting good digestive health and immune function.